Shopping is such a simple little word but such a complex and loaded activity. My own relationship with shopping has been complicated and freighted – you can read more here on my reflections and attitude on shopping, overshopping, and the link to personality and your style essence. Shopping is a topic I have spent a goodly amount of time thinking about, engaged in, recovering from unhealthy versions of, researching and reading about, and coming to terms with. Some women find shopping for clothes and accessories easy. Others find it frustrating and exhausting. Some women love to shop, others would sooner scrub the toilet (that’s a direct quote). Shopping is a multi-faceted topic, and can be tricky territory. And yet we all need to shop, in some way or form. So it’s not only intriguing but instructive to apply the activity of shopping to personality. How can we use our understanding of Psychological Type (the theory of personality we have linked style concepts to, to create the 16 Style Types) to help women shop better? The answer: The Z Model. The Z Model of decision making has been used for many years within the Psychological Type coaching and facilitation fields. Often attributed to Gordon Lawrence, the basic idea is that the Z Model forces us to consider questions from many angles and through that process, make balanced and well-informed decisions. This has an obvious application to shopping, where we can often consider only a fraction of the information we need to make truly informed and trusted decisions. As a result, our shopping is often fraught with difficulty, and our results are often less than what we want. Read more on the Z Model and its uses (Medium piece by Eric Griggs). So we can easily translate the Z model of decision making to shopping. The first thing we need to do is expand the quadrants of the Z to include all 8 functions (the simplified Z model usually uses just four functions). At 16 Style Types, we use the dynamic nature of Type in our linking to style concepts, which is what gives our material such depth, complexity, and richness. You are not the sum of your 4 letters! Next we want to customize the quadrants of the Z so they reflect shopping. What are the key questions to ask for all the four functions? What does Sensing teach us in a shopping environment? And what about iNtuition? Those are the two Perceiving functions and one of these is our main conduit to information, so we’ll need those to shop well. And then there’s Thinking and Feeling – the Judging functions. 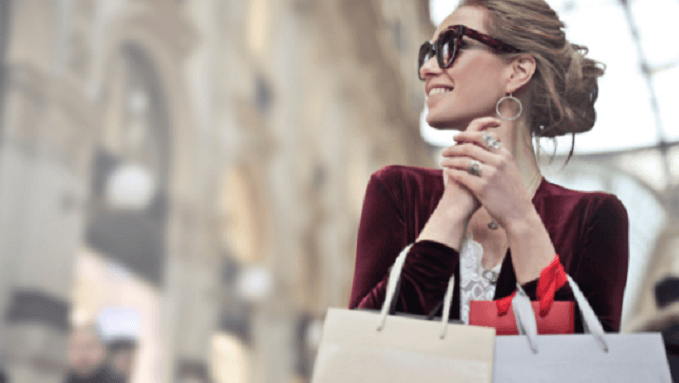 They’ll definitely come into play in our shopping – how can we best make shopping decisions that give us our best outcome, and result in fewer mistakes? So what you see below is the Z Model for Shopping, using all 8 Psychological Type functions. This is a great tool to help you shop better and to use in the three key phases of Before, During and After Shopping. This is a helpful guide, a handrail (not handcuffs), a ready resource. When sharing this with others, which we encourage you to do, please credit 16styletypes.com. You might have noticed there are 3 questions for each of the 8 functions. 24 questions may be too much to grapple with in a shopping environment, so here’s a guide on how you can use the Z Model for your own shopping. Refer to your Leading and Supporting functions (sometimes known as your Dominant and Auxiliary functions in the Type world). Find the dominant function for your Style Type. These are your most conscious functions, over which you have the greatest conscious control and the behaviours associated with these functions are the most developed. (Learn more about innate preferences including 15 ways to tell if something is natural for you). Use the questions for your Leading and Supporting functions as your main guide when shopping, and toggle between the two to get the balance between taking in valuable style information (Perceiving) and making trusted style decisions (Judging). This is where so much value will come from in using the Z Model – from using your most preferred (Leading and Supporting) functions and toggling between them. Additionally, choose a few questions from your non-preferred functions to act as counter-balances to your shopping. These are the questions you never think to ask yourself, or you ask when it’s “too late”. These are the non-natural questions for you — that’s why they are non-preferred in Type terms — but they can inform your shopping in important ways. Hand-pick some questions from your non-preferred functions which are most relevant to you in your shopping journey and awareness right now. Note: these might change over time. You do not need to use every single question in every single quadrant in the Z Model when shopping. Apart from being inordinately time and energy consuming (and possibly drawing stares from passing shoppers and sales staff as you stand there checklisting off over 20 questions!) it simply is not necessary to cover off ALL areas of the Z Model to successfully shop. Use the Z Model to identify where your shopping is falling down or tripping you up, leading you to become overwhelmed, frustrated, or to make shopping mistakes you regret. The Z Model for Shopping can help make every shopping trip, whether online or in-store, a successful one, on your own terms. In this post, Imogen and I talk about how to have a successful shopping trip. In this thorough post, Imogen suggests 27 questions to ask yourself before purchasing that next garment. 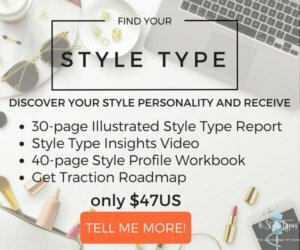 If you are yet to discover your beautiful and unique Style Type, now is a wonderful time – start the journey of discovering your Style Type here.